This women's probiotic is formulated to help restore and maintain healthy microflora that are crucial for vaginal health as well as the female urinary tract. Just a few years ago, Prevention Magazine proclaimed Fem-Dophilus from Jarrow Formulas one of the top breakthroughs. It was the only dietary supplement on the list. It also won a Product Merit Award from the Nutrition Business Journal. 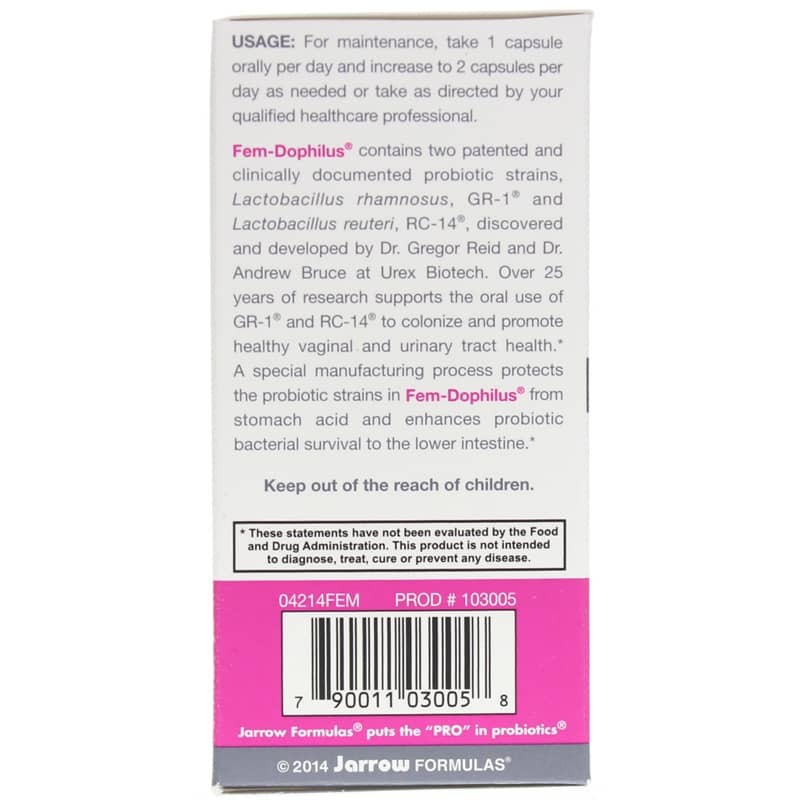 Fem-Dophilus provides you with two patented probiotic formulas. It contains clinically-tested strains that researchers have studied from more than 20 years. Feminine health can get complicated. 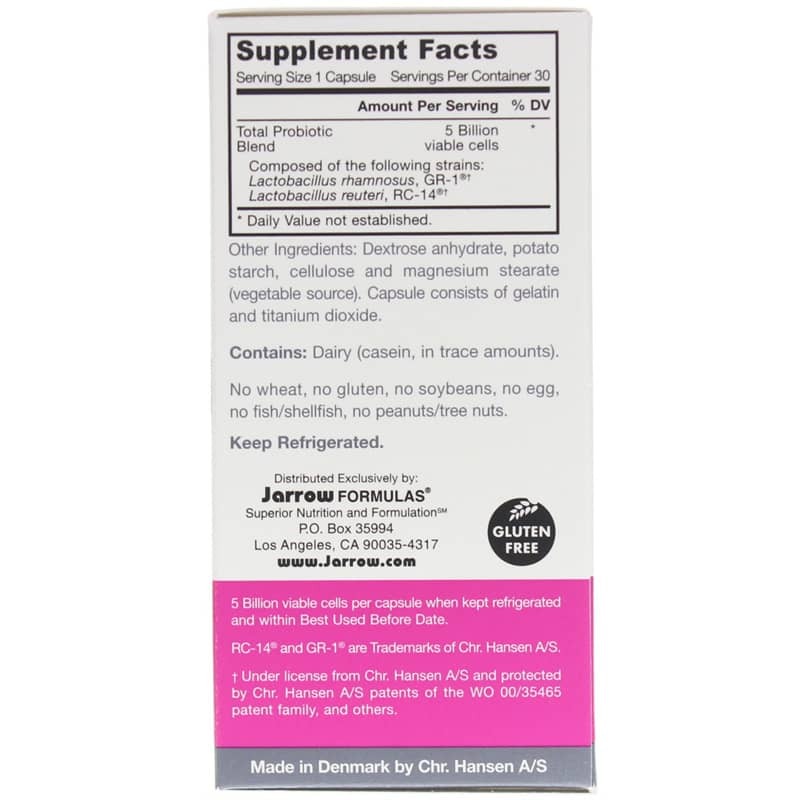 But Jarrow makes it a little easier with this probiotic supplement formulated specifically for women. Taking a daily probiotic like this could help you avoid things like yeast infections and UTIs. 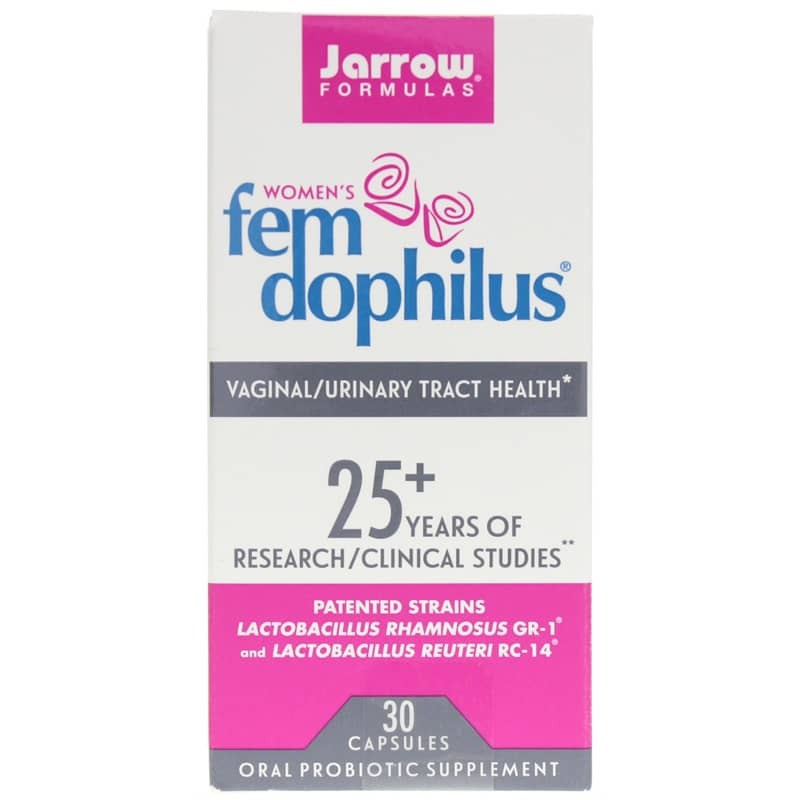 Choose Fem-Dophilus from Jarrow Formulas now. Other Ingredients: Dextrose anhydrate, potato starch, cellulose, and magnesium stearate (vegetable source). Capsule consists of gelatin and titanium dioxide. Adults: Take 1 capsule daily for maintenance and increase to 2 capsules a day as needed, or use as directed by your healthcare consultant. Great product!!! Nothing was ever working for me & this was a miracle!! I have been taking this for over a year now (two per day) and it took a few months of continuous use, but I feel they really help. Love this product and definitely believe in it! I like the fact that I get my orders on time and the site is very easy to use. I recommend this to everyone! Very effective as a probiotic. I love these vitamins and the delivery is great !! Great product from Jarrow and great service from Natural Healthy Concepts. The shipment was really fast first of all. I am taking it everyday and I think it is working. It did not bring dramatical change, but I can feel that it is working. worth buying it and I will definitely purchase the second one and see how much it can improve my health. 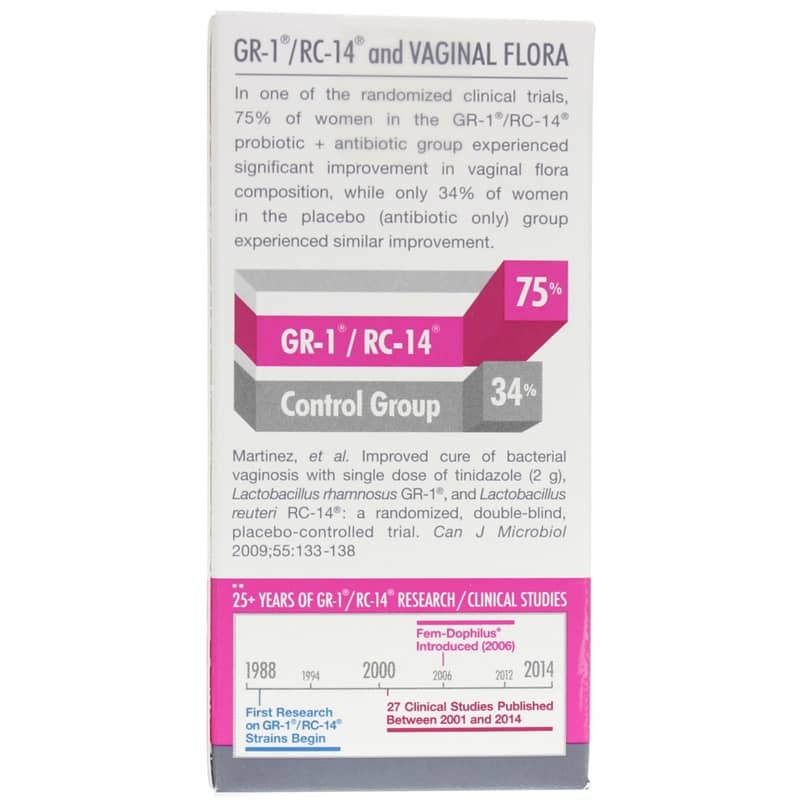 Fem-dophilus is the only probiotic I have found that has patented Lactobacilli: GR-1:registered: and RC-14:registered: - proven to promote vaginal Flora. Since taking this regularly I have noticed I do not have chronic recurring yeast infections as I did before. Recommended from my doctor to try. Product works great for me.